Choosing a dozen-odd outperformers from any given group cannot be too tough a task. But when you have to look for gems among some 36 million small and medium enterprises (SMEs), it can be a mind-boggling exercise-much like looking for the proverbial needle in a haystack. 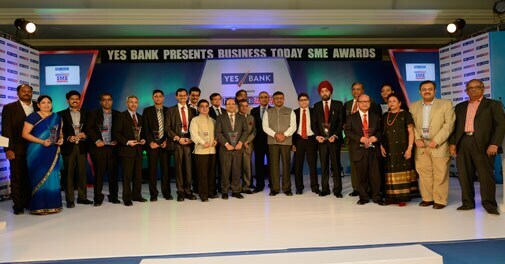 Culminating one of India's most extensive annual surveys of the SME sector, 13 winners of the fifth Business Today-YES Bank Best SME Awards were announced on Tuesday night at New Delhi's ITC Maurya hotel. For many of the winners, who flocked to the event along with several dignitaries, it was a first-of-the-kind experience. Experts shared their thoughts and underscored the need for the banks to support the sector. 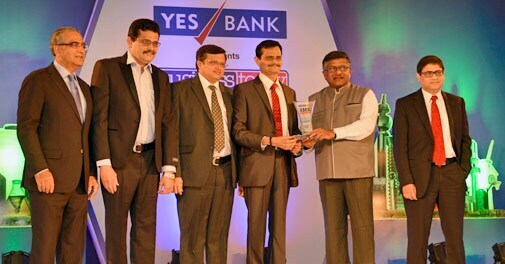 "In spite of their different business models, there is a common winning streak among the winners and it helps them make a cut above the rest," said Pralay Mondal, Senior President, Retail and Business Banking, YES Bank. The bank was Business Today's survey knowledge partner. 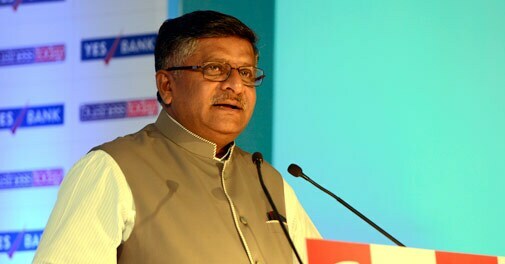 The importance that the government attaches to this sector, which contributes more than 37 per cent to India's GDP, was evident in the speech of Ravi Shankar Prasad, Union Minister of Law and Justice and Communications and Information Technology, who was the Chief Guest at the awards ceremony. Prasad reiterated the government's resolve. "I can see a new India emerging and there is a great confidence in the youth heading small companies," he said. The Vidya Herbs team with Aroon Purie on the left and Ravi Shankar Prasad and Pralay Mondal on the right. Stressing the role of the SME sector , he recalled a conversation he had with a young CEO of a technology company at a Nasscom event in Bangalore. "I asked him how do you differentiate from the large IT companies. And I was impressed with his confidence. He said, 'Mr. Minister, they are tailors, we make readymade shirts'," the minister recalled. Prasad also pointed to the digital revolution under way in India and stressed on the government's effort to boost manufacturing of electronic products. The list of winners was as diverse as the sector itself. "From a list dominated by winners in manufacturing and trading, I am happy to see a gravitation towards high value-added products and services driven by technology," said Aroon Purie, Chairman of the India Today Group, which publishes titles such as Business Today and Mail Today, besides India Today. "SMEs will play a critical role as India struggles to overcome its recent growth problems and return to its days of stellar growth." Group shot: Chief Guest- Union Minister of Law and Justice and Communications and Information Technology, Ravi Shankar Prasad, Aroon Purie, Chairman, India Today Group and Pralay Mondal, Senior President, Retail and Business Banking, YES BANK with all winners. Among the 13 winners, herbal products company Vidya Herbs and agri solutions provider iConcept Software Services won the Overall Winner Awards. The companies were classified into two broad categories based on their revenues: under Rs 50 crore and between Rs 50 crore and Rs 200 crore. The other winners included Eskay Speciality Chemicals, La Opala RG, Quatrro Processing and Analytics Services, New Delhi Centre for Sight, Sundev Appliances, Tuareg Marketing, SEE Linkages, Monarch Catalyst, VAV Life Sciences, Maharani Paints and Woodland Hospital. The guest of honour, J.M. Garg, Vigilance Commissioner, Central Vigilance Commission, spoke about the need to rekindle the spirit the entrepreneurship. "Unlike in the past, young people across the country are willing to take the risk of entrepreneurship. That's the spirit we must all salute," he said. Underlining the role of such events in this process, he said, "The entire process followed for such events helps bring out the best in the industry and also motivates others to excel." 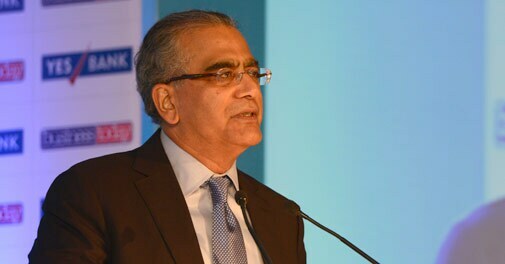 Aroon Purie, Chairman, India Today Group said SMEs will play a critical role as India struggles to overcome its recent growth problems and return to its days of stellar growth. One of the winners, Mahipal Singh Sachdev, Chairman of New Delhi Centre for Sight, said, "It's a humbling experience and we now feel a greater onus to perform." Grant Thornton was the process validator in the survey.